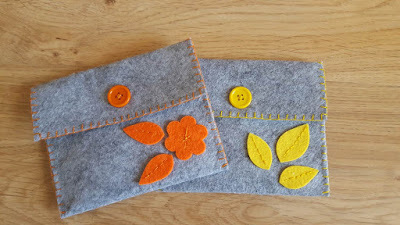 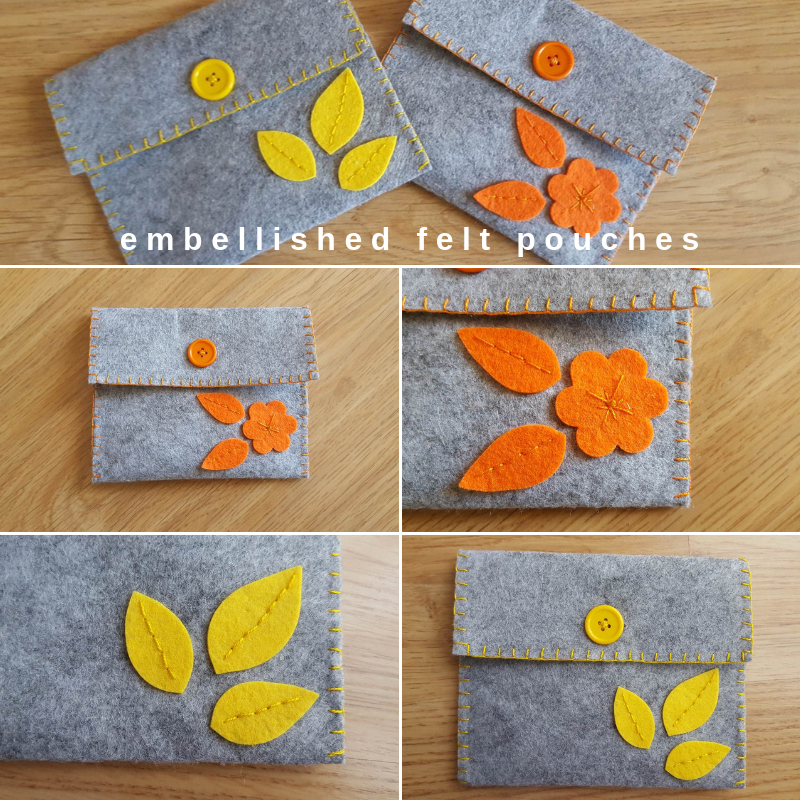 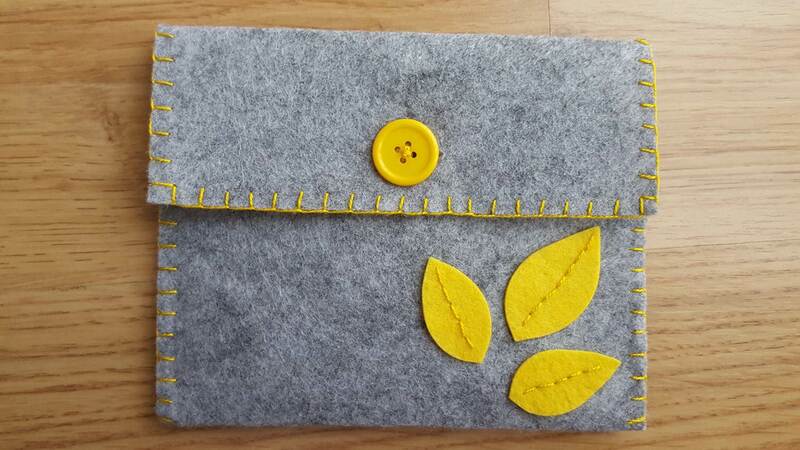 These two felt pouches are the result of two of my favorite things - creating something new and working with felt. When I started out I had a square of plain gray felt. 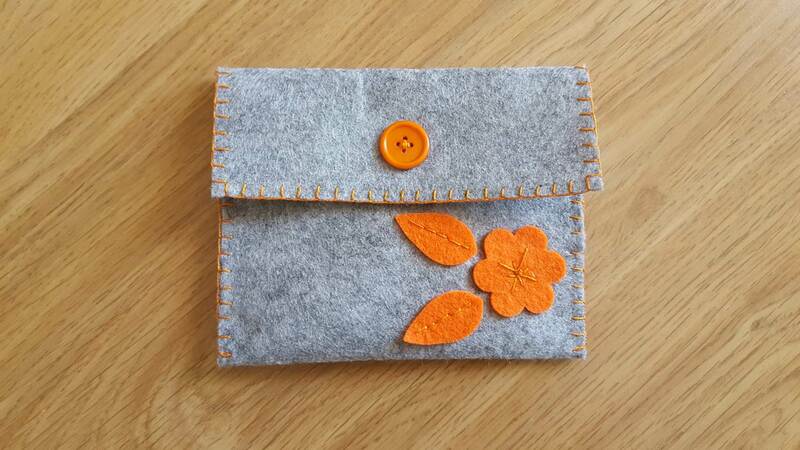 I cut it in half, folded each piece in order to create an envelope pouch, and then everything else unfolded. This is actually my favorite part of the creative process - watching something take shape in a totally unexpected way. 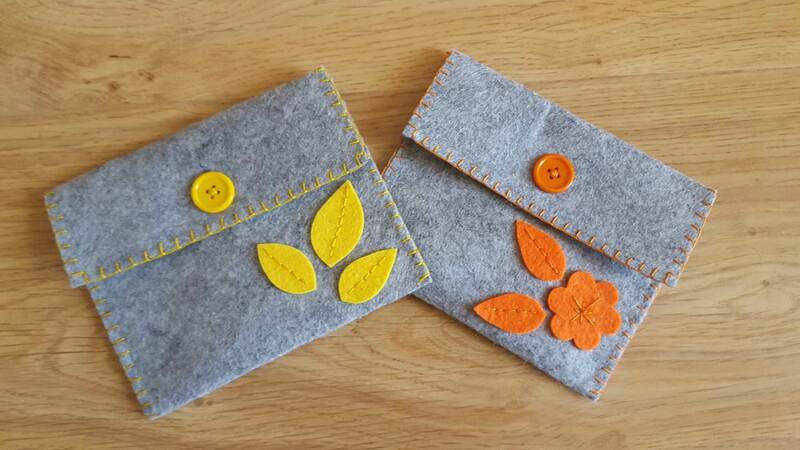 These two pouches now live happily in my Etsy shop, waiting for their future owners to claim them. 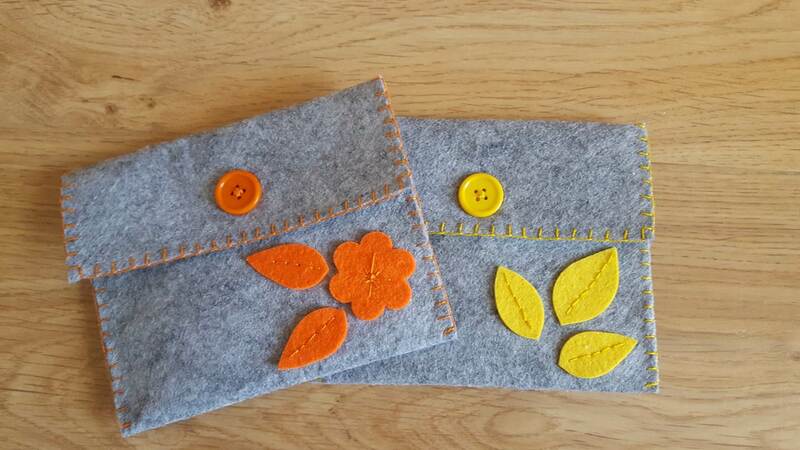 You can find them here (gray/yellow) and here (gray/orange). 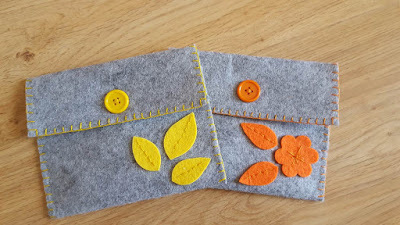 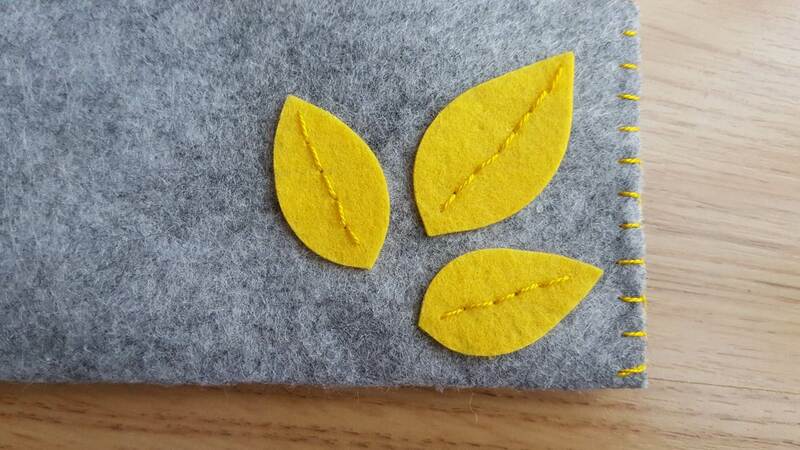 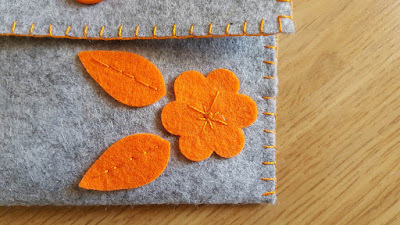 These are so lovely, I especially like the blanket stitch edging. Comparto contigo el Viernes Handmade y me ha gustado conocer tu blog. Me ha gustado mucho y como Isabel comparto el Viernes Hadmadey me allí conocí tu blog. Un saludo desde Valencia (España). 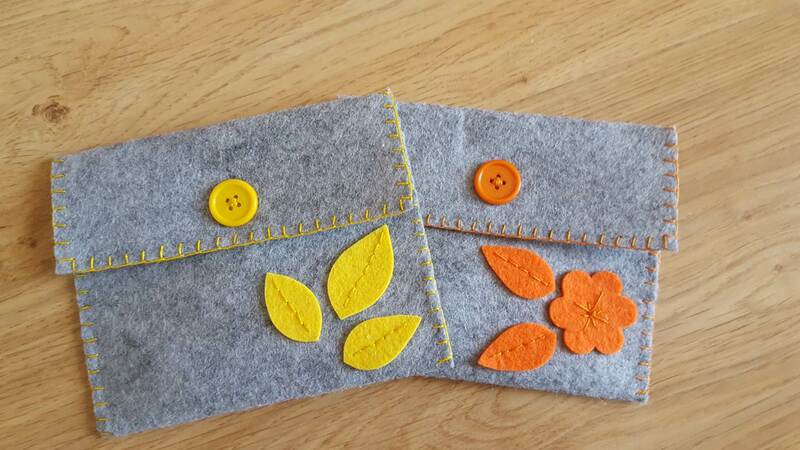 These are adorable1 Love the stitches that contrast and the pretty leaves! Thank you for sharing at Celebrate It!